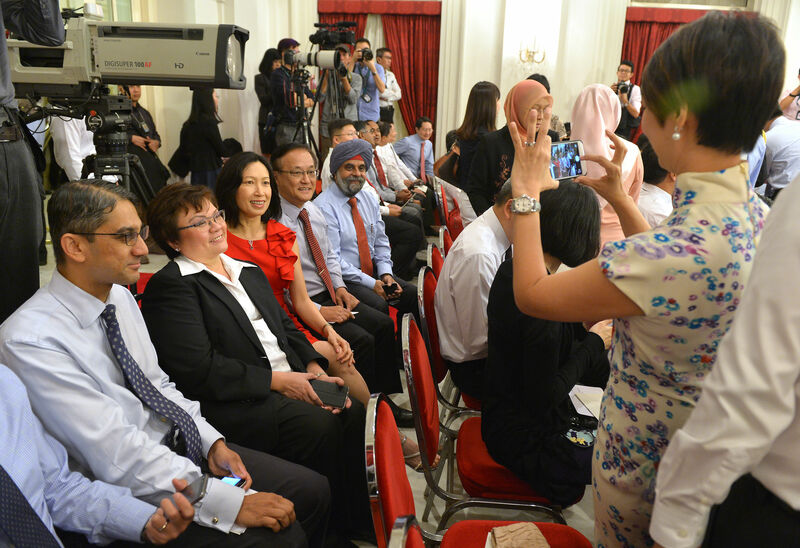 The thick haze made the Istana grounds a blur but the glittering chandeliers in its State Room cast a warm glow over the solemn ceremony last night, when 31 MPs were sworn in as ministers and junior office-holders. 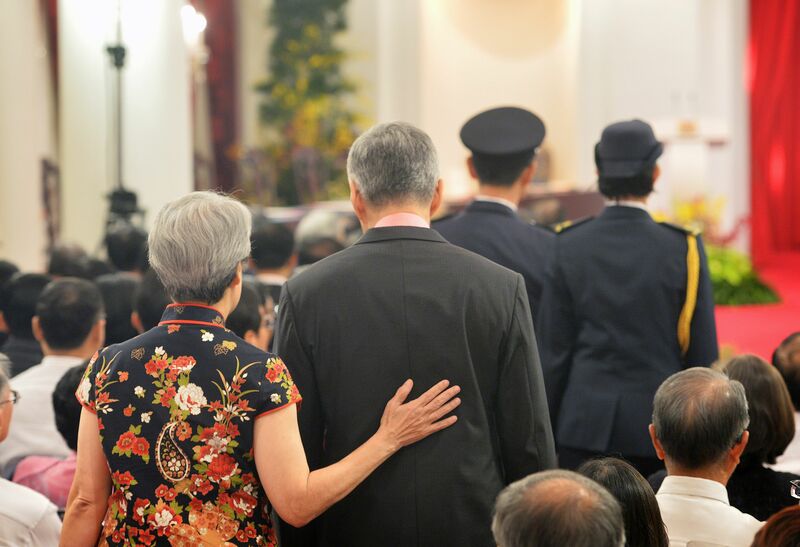 The mood was solemn as they took their oaths before President Tony Tan Keng Yam, watched by 700 guests, including their spouses and parents. They included senior civil servants, grassroots leaders, retired political giants like former Cabinet minister S. Dhanabalan, students and foreign diplomats. All eyes were fixed on the office- holders as they entered the State Room in order of seniority with their spouses. 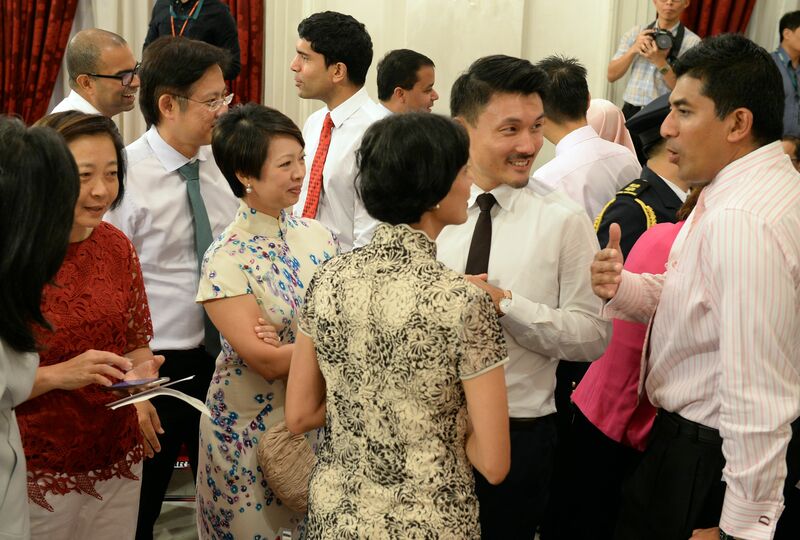 The line-up included newly appointed junior minister Chee Hong Tat, who typically keeps his family out of the media glare, as well as Senior Minister of State Josephine Teo, who walked hand-in-hand with her husband. Leading the way were the junior ministers, followed by the full ministers, then the three coordinating ministers. Prime Minister Lee Hsien Loong and his wife Ho Ching came at the end. 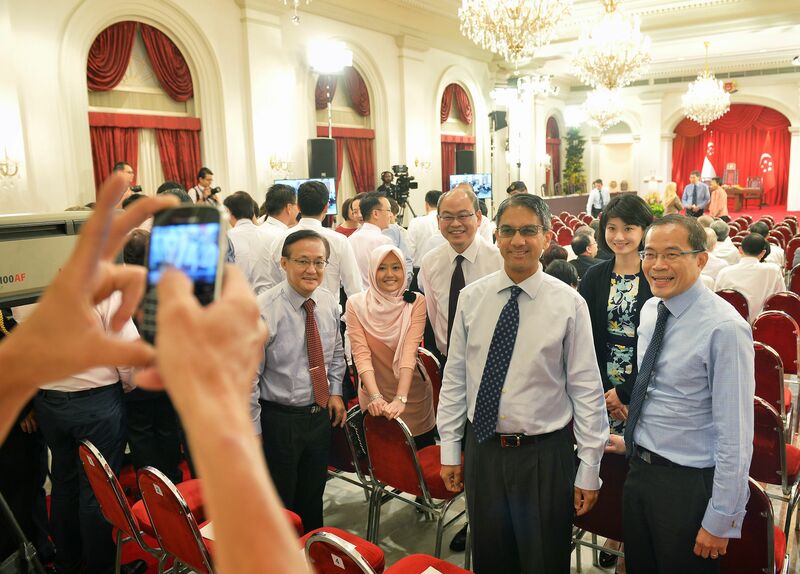 The clatter of chairs being pushed back filled the State Room as everyone rose to welcome President Tan, who presided over the ceremony flanked by PM Lee and Chief Justice Sundaresh Menon. Those invited came as early as 5.30pm and soon filled the State Room as well as the Reception Room and Banquet Room, where they watched the one-hour ceremony on giant screens. The ceremony came to a close at 8.30pm, after PM Lee's speech in Malay, Mandarin and English on the future direction of Singapore. The solemnity of the occasion quickly gave way to chatter and congratulations, much like a cosy family gathering. 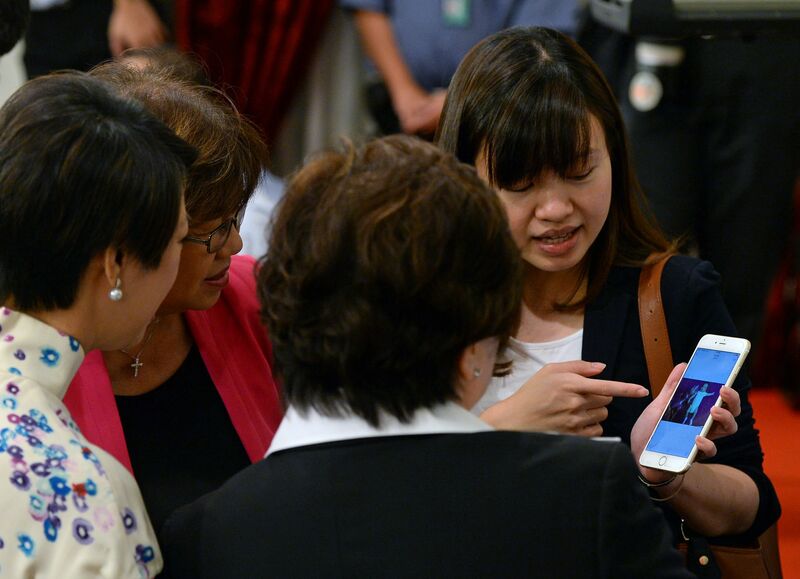 MacPherson MP Tin Pei Ling, a new mother, showed off smartphone snaps of her two-month-old son while PM Lee and his wife congratulated Tampines GRC MP Desmond Choo on the birth of his first child this week. Mr Choo told The Straits Times: "While the mood was sombre, I also felt a deep sense of excitement at the key priorities that PM Lee outlined. "Whatever we do now will affect the next generation. I felt this all the more as a new father." New MP Amrin Amin brought his proud father, who had never visited the Istana. 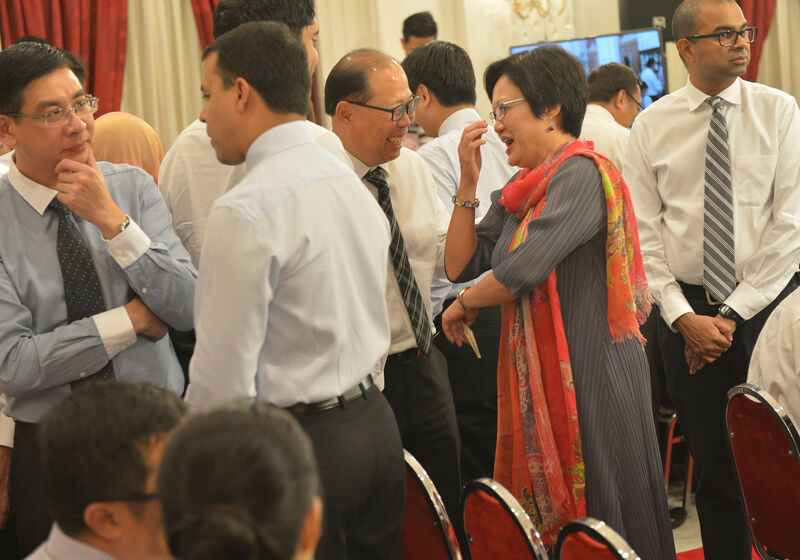 The strong family resemblance did not go unnoticed by MP Edwin Tong. "He went up to my father when I wasn't around, greeted him and said, 'When I walked past you, I knew you were Amrin's father'," said Mr Amrin. There was little hint of the heat of the hustings a month ago, as politicians from the People's Action Party and Workers' Party bantered with one another. Singapore Management University psychology professor and political observer David Chan, who was a guest, welcomed PM Lee's remarks on the need for coordinating ministers. Said Prof Chan: "The real issues faced by the people and society are often multifaceted and not neatly categorised into separate agencies." 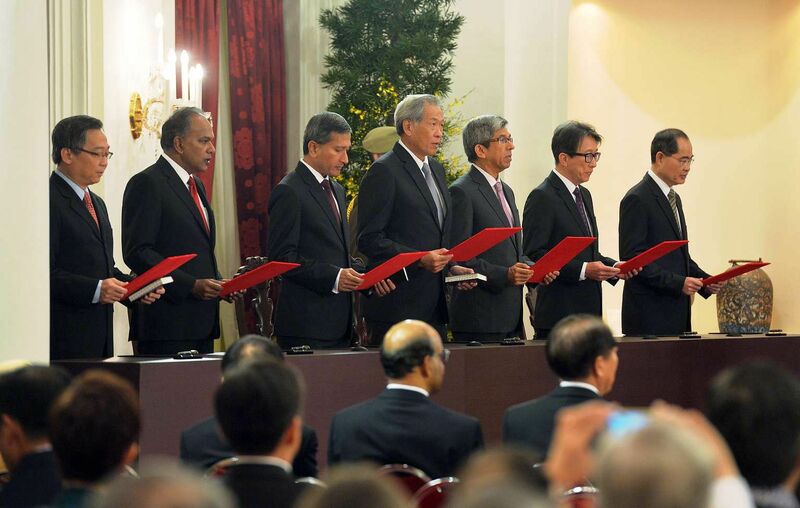 Good coordination, he added, should lead to better policies that improve Singaporeans' lives. 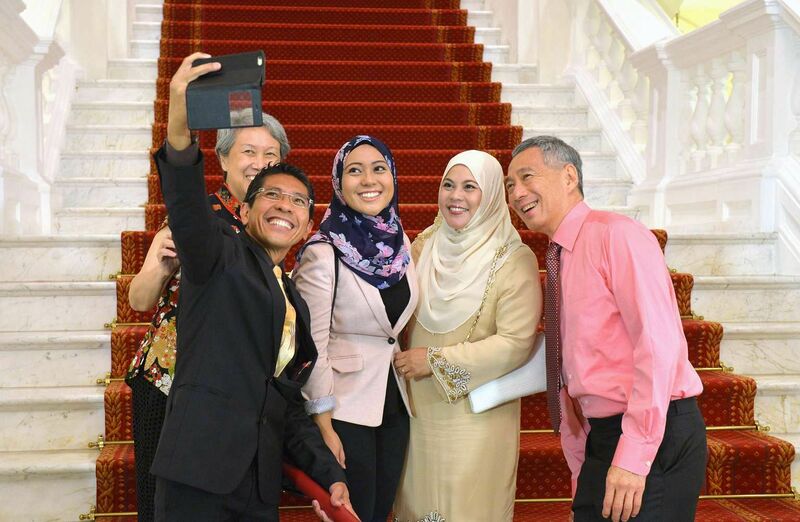 As he headed home, Mr Amrin, 36, the youngest to be appointed an office-holder and who will take his oath as parliamentary secretary on Monday, was confident of Singapore's future. "We're looking forward to SG100."